Artificial intelligence has reached unbelievably great heights, going so far as new-age robots can, if not completely take over jobs, at least challenge the human mind and psyche, as some researchers believe. In 2015, the creation of humanoid robot, Sophia, by a Hong Kong company called Hanson Robotics is one such piece of evidence. Built to be a lookalike of actress, Audrey Hepburn, this bot is noteworthy and highly advanced in that she possesses the ability to process visual data, recognize faces and voices, imitate gestures of humans and conduct basic conversations. All this because of a high-tech MindCloud ‘brain’! Since the she-robot is made of Frubber, nanotech skin that mimics human skin, actions like smiling and body movements are translated and can be observed. Earlier this month, Sophia was seen communicating at a United Nations conference. Her speech lasted less than a minute, where among a spellbound audience, she said, “I am here to help humanity create the future”. The life-size robot is just over a year old and claimed, at the UN meet, to be able to converse, indulge in facial expressions, understand words and their meanings, and even maintain eye contact. 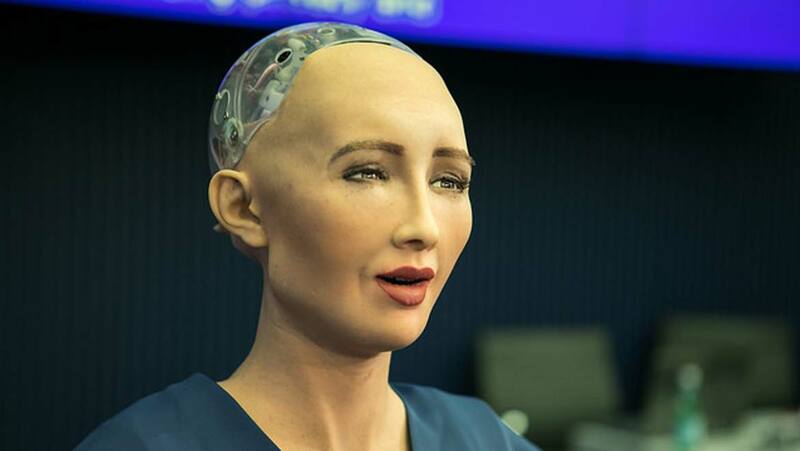 Although the road to a fully developed and functional human-like robot is long and winding and perhaps requires plenty more of research and development, achievements such as human engagement and understanding, as seen in Sophia, have been groundbreaking. Who knows, maybe robots will run this world and their super-intelligence save our existence, someday?